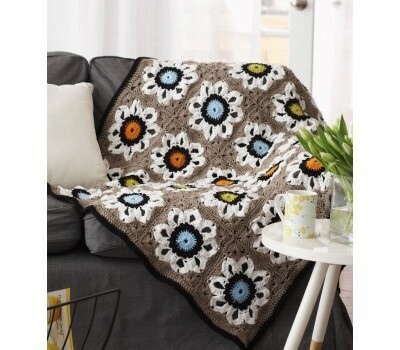 Don’t you just love an afghan pattern that looks so beautiful like this one and at the same time it allows you to change up the squares to match your own personal style of favorite flower colours? Sky is the limit with this project! 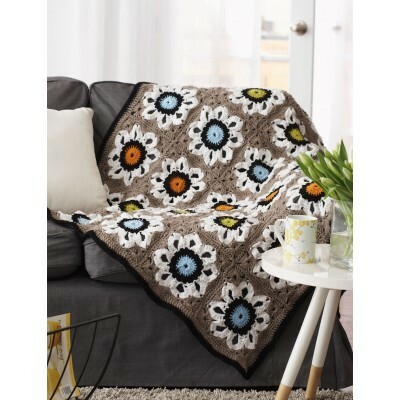 This versatile crochet afghan called the Crochet City Solarium Throw by Bernat is a gorgeous eye-grabbing afghan with a playful nature of large flowers in each granny square.